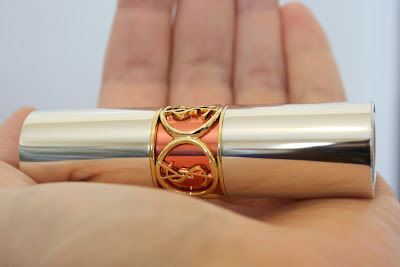 I am a bit late to the party, but recently I have been adoring the YSL Rouge Volupté Sheer Candy lipstick formulation, which I picked up in Tangy Mandarine and Mouthwatering Berry. The Sheer Candy formula has received a lot of criticism for being too sheer, but both of the shades I have give a subtle but beautiful tint to the lips. Mouthwatering Berry is probably a shade closer to what I would normally wear, but it is Tangy Mandarine that has really tickled my fancy. The color is bright orange in the tube, but on the lips it turns into a beautiful pinky peach (my lips are quite rosy to begin with, so this might show up as more orangey or at least more of a true peach on those with paler lips). Tangy Mandarine goes on very smoothly and feels hydrating on the lips. 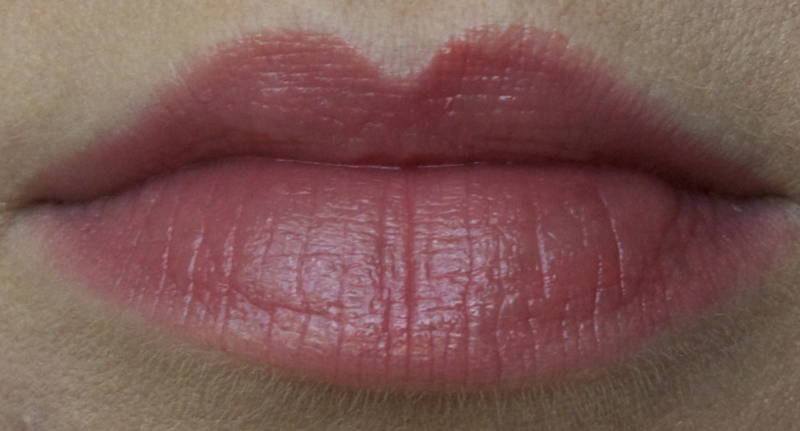 It feels much creamier on the lips than the Guerlain Shine Automatique I picked up recently, which has a shimmery finish and feels slightly gritty on the lips. 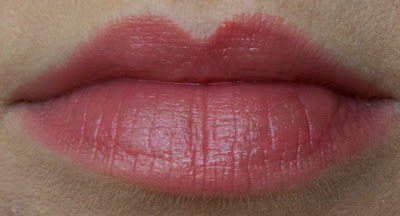 As with most sheer lipsticks, it has a bit of a wet or glossy look to it, but not overly so. I am a sheer lipstick/balm junkie, and this seems to possess all of the qualities that I look for--smooth, easy to apply, allows some of my natural lip to show through, etc. The wear time is rather short as compared to more opaque lipsticks, but it's not noticeably shorter than other sheer lipsticks. And unlike many other YSL products, like the Glossy Stains, I did not detect a noticeable scent. These luxurious bad boys will set you back $30 and are available at both Sephora and Nordstrom.